Our bathroom ceiling lights are rated to IP44 and suitable for installation where they might be exposed to steam or even water splashes. Some are even intended for use in the shower and have a higher IP rating. These fittings come in a range of styles to meet any and all lighting needs. 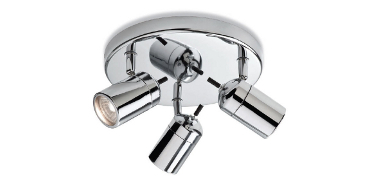 Choose from recessed and surface bathroom ceiling lights from the links below.